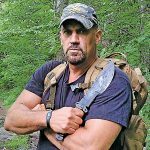 EJ Snyder Shares Experiences from "Naked and Afraid"
Hard-won lessons from 82 days on Naked and Afraid. Snyder builds a shelter in the Amazon during his second <em>Naked and Afraid</em> trip. EJ Snyder has appeared on Naked and Afraid three times. EJ poses with teammate Jeff Zausch in Colombia’s badlands. Laura Zerra and EJ Snyder relax in their shelter in the Amazonian rainforest. Tanzania forced EJ Snyder to master his fire-making skill set. 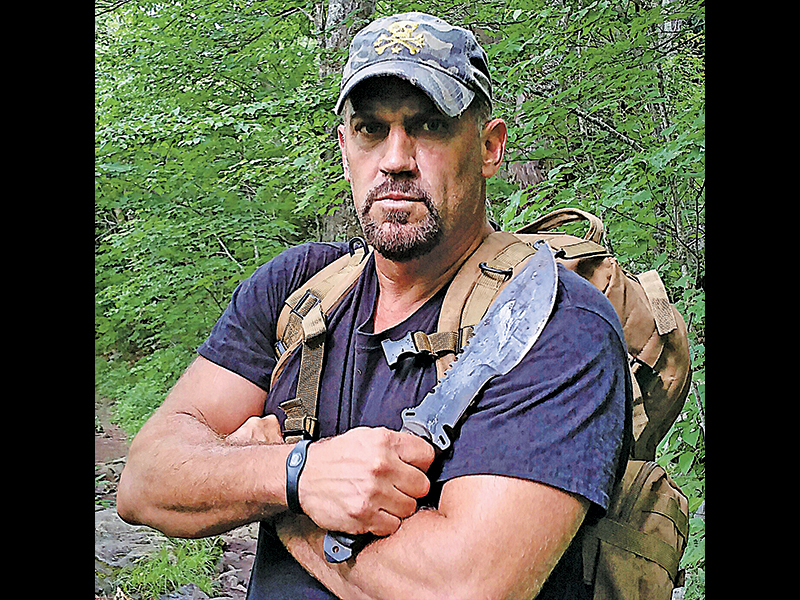 After his first knife broke in the field, Snyder designed his own fixed-blade survival knife in collaboration with TOPS. 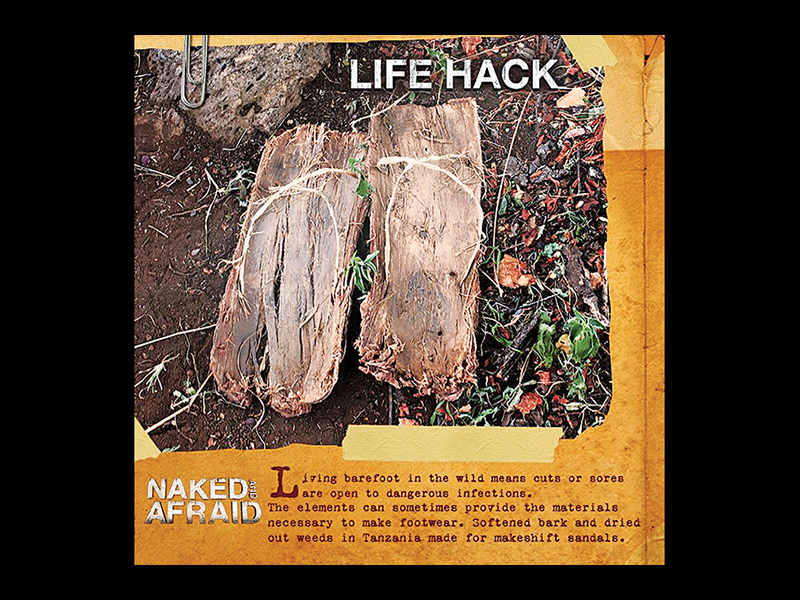 To protect his feet in Tanzania, EJ crafted makeshift sandals from softened bark and dried-out weeds. Survival, a term used to describe man’s plight of overcoming the incredible odds, circumstances and challenges he faces. You never know exactly when that word is going to show up in your life, but one thing is for sure—you’d better be ready! Survival for me is a constant daily preparation, training cycle and test. It is the thing that will get you through bad days, and can even make them better. 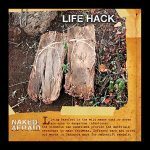 But little did I know that all my years of experience in life, including 25 years in the military, was about to be put to the ultimate test on Discovery Channel’s Naked and Afraid. 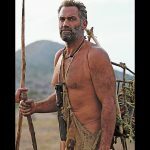 Folks brag about going into the wild with just a knife for a long period of time to survive, and I get to one-up them by doing it naked like a caveman, just as man had done some 10,000 years ago. But the reality of this task, as I would come to find out later, is really immensely harder than one could imagine. I knew I was good, but just how good was I really? If I accepted this challenge, I would truly find out. So, of course I accepted, but I could never have anticipated how much I was about to change as a man, or how my life would change. And with that I took my first step into history and into 82 days of naked survival. Tanzania was as beautiful as it was deadly. All my skills and experience were about to be put to the test. My only concern was, what would my partner’s skill set and capabilities be? Once I met my partner, Kellie Nightlinger, I knew we were very different indeed. Kellie and I did struggle to find common ground as the days wore on with 100-plus-degree heat, along with cold, windy nights in the upper 40s. Teamwork would be our main test here, and we would need to find a way. We got more beaten down by the elements, hunger and stress. Tanzania in the dry season yields little in the way of resources. 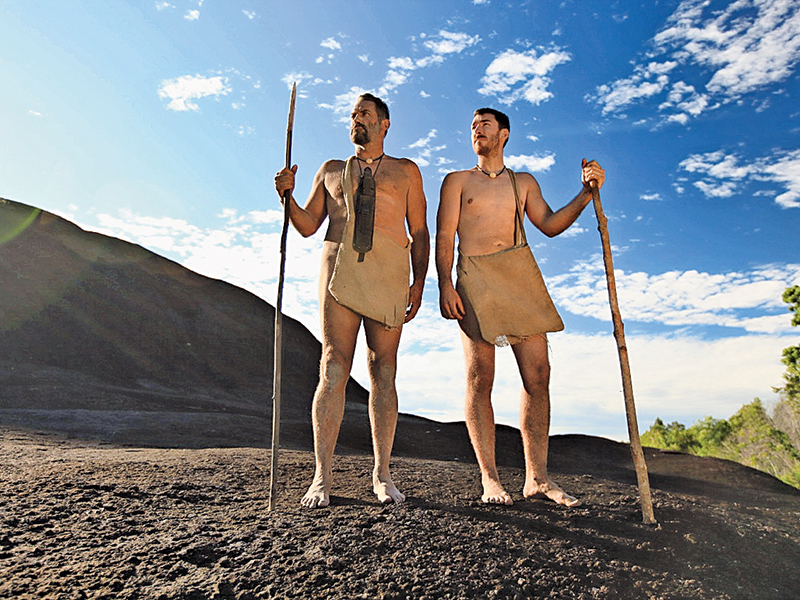 Everything we knew about survival was being tested. The bark of the trees on the lower savannah was not conducive to making bark shoes; the wood we found and tried to make primitive fire with was a terrible material; not one limb was straight, all cooked as a “J” shape; and the leaves on the branches we used for roofing on our shelter would wilt from the dryness and baking sun, crumbling to the ground. Thorns were the bane of our existence as every blade of grass, every bush and every tree were covered with them. Packs of hyenas would frequently try to come into our camp for an easy meal. We fended them off and pulled shifts at night for security. We were stubborn, determined and possessed a will that wouldn’t give in. We did find a way and, through teamwork and effort, solved all the problems we faced. My infected foot soon brought me to my knees. I needed help and had to set pride and ego aside and ask for it. I learned and grew a lot out in Tanzania. I was tested and learned exactly how good I was as a survivalist, my strengths and weaknesses, how tough I truly was, but also how vulnerable. 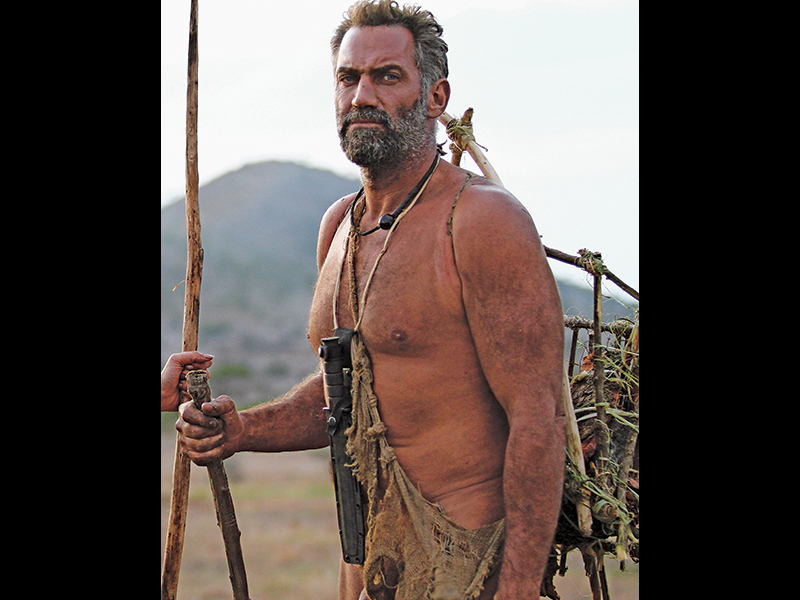 I left there a better and more evolved survivalist, a changed and better man with a clearer vision of who I am. Mobility is a key element of survival. If you can’t get around, it could be disastrous. You live and die by your feet, so you need to take care of them. We made some 14 pairs of bark shoes while we were out there, but they were no substitute for a good set of boots. They helped keep the thorns out and kept our feet from being scorched by the lava rocks and scalding hot dirt, but they were also slow to move in and very uncomfortable. You have to be able to move to accomplish the daily tasks of survival. When I tried to upgrade to wooden shoes, my knife broke. Not good, especially when you only have one tool with you. All your survival gear needs to be reliable and durable, as you come to depend on your gear to help keep you alive. So the lesson here is don’t take shortcuts, and if it’s cheap, you will probably get what you pay for. 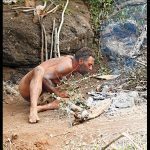 Making primitive fire is not easy and it was not a strength of mine. It’s not a viable option when you can have a good fire-starter on you, but if all else fails, you better know what to do. The best way to purify water is to boil it, and thankfully Kellie brought a cooking pot. The water was manky, and I have drunk from some rough water before, but this mud hole takes the cake. Water is critical to sustaining proper body function, regulating body core temperatures and staying in the game. So clean drinking water is a high priority and concern in a survival or emergency situation. It was about seven months after Africa when I got a phone call. People were quitting left and right from the next installation of Naked and Afraid, and just like that I found myself heading into the most dangerous jungle on the planet: the Amazon. As the riverboat sped down a tributary off the Amazon River deep in Peru, many thoughts raced through my head. Did I shore up my weak points from my last challenge enough? What would I do differently this time? I chose to bring along a PureFire Tactical Fire Starter this time, knowing that wet jungles and swamps are usually not friendly to primitive fire methods. The magnesium it was made of was the highest grade on the market and can start in water. I looked around and started to quickly attune myself to my surroundings. I could see that this jungle was on steroids. The sounds were loud, the bug activity heavy and all the creatures lurking. The locals said that it could not be done by an outsider. The Amazon gave us all we could ask for, but with all her tests, once we learned to fully accept what she was showing us and teaching us, it became much easier. The answers were there, as long as I learned to embrace my environment, trust my primal instincts and become part of nature. It seemed to get easier as we went. However, one huge task stood in our way—getting out of there safely and in one piece. Our greatest fight to survive lay in traversing the Amazon River. We needed a water-worthy vessel to take us to extraction. Had I not fully embraced a more primitive outlook with Laura Zerra, my amazing partner for this adventure, we may have never succeeded. We found everything we needed to build “The Amazonian Queen,” a raft for the ages. We gathered 26 balsa logs (actually a grass) that were 30 feet long, 60 bamboo stalks that were 50 feet long and over 100 vines for lashings. Laura taught me a lot of things out there, and her bushcraft skill set was amazing, especially her lashing techniques, as I always used paracord for lashing over vines. Laura really had me getting at my primal side of survival out there. We built a raft that was set up to travel on, sleep on and, if need be, fight off the possible water dangers in black caimans and anacondas. Twelve miles was easier said than done. The morning of Day 20 found me with a 102-degree fever and a stomach flu with 48 hours to go. The Amazon threw one last flurry at us to try and knock us out that night in the form of a thunderstorm. We saw caimans along the banks of the swamp we entered, but I could feel the hairs on my neck and arms standing up from the static caused by the lightning striking the water. I learned on this challenge that sometimes instead of fighting your environment, you need to embrace it, and when you do that, you can actually make it easier on yourself. If you allow yourself to become part of nature, some amazing things can be learned, and in many cases, all the answers to your survival are right there in front of you. You would think my survival itch would have been satisfied, but I still felt there was more to learn. So when I was told that I had made the final cut for a challenge almost as long as my first two combined, I knew I was up to the test. Naked and Afraid XL would be a huge test. Colombia is the second most biologically diverse country on the planet, as well as the second most dangerous. It would be the most drastically diverse and changing environment I had ever encountered. We entered the jungle, but around every corner, within a few hundred meters, Colombia would hit you with a right hook in the form of a new environment altogether. We not only had jungle, but there was also a scorching savannah grassland with patches of desert, a rattan forest surrounded by thick palm jungles that opened up to sinking swamplands with bogs, fresh-water creeks, a piranha lake, fruit and nut tree groves and a huge, raging river. Yes, this was definitely a dangerous place. I entered this arena with only two hours of daylight left until nightfall, only to find my bag hanging by itself. 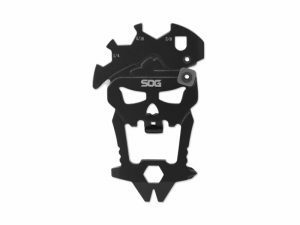 Inside my bag I found my SXB (Skullcrusher’s Xtreme Blade), which was my personal design and answer to not having a knife break on me again. I also found my Coleman camp coffee pot and a map. This was a bonus for me because besides its obvious use, it was also a morale item for me. It had been on every camping trip my family and I ever went on, and so I had a small piece of my family with me out there in the wilderness. I thought I may eventually run into others, but in the meantime I was teamed up with two other men, Jeff Zausch and Hakim Isler. Being a team of alphas, I was not so sure how this would turn out. I knew I was probably the oldest one out there, but also the one with the most experience. The three of us got on the same page quickly as far as a long-term survival plan. It was our desire to enact a plan that was sound enough to take us not just 40 days, but 40 weeks. We made several attempts to hack through the virgin triple-canopy Black Palm jungle to get to water from our new camp, but that’s a tough thing to do naked and barefoot. 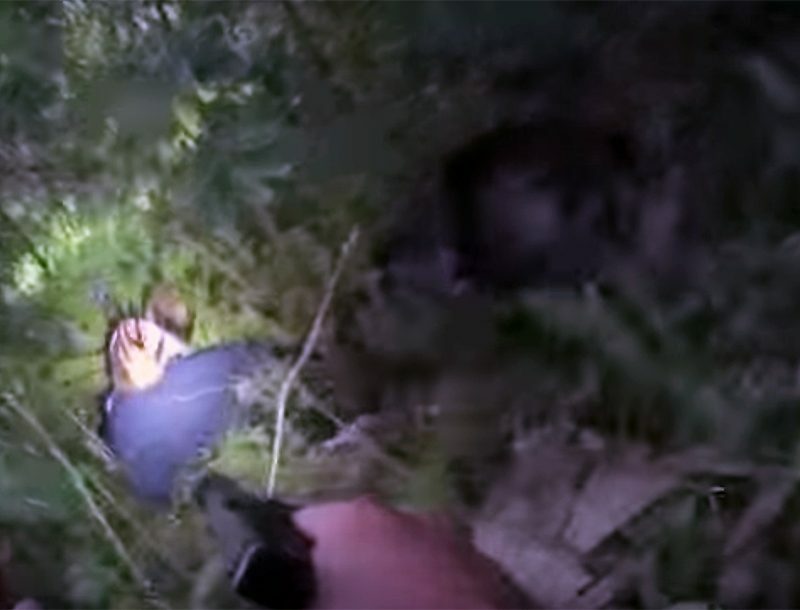 The jungle can be one of the hardest places to navigate, and I was trying to stay on course without a compass. Almost a week in, Hakim Isler’s body succumbed to the elements after days of battling severe cramps and dehydration. He was forced to tap out. The biggest concern for Jeff and I was not making it or surviving, but that we may run into other people we knew were out here. Other people means drama, and we wanted to stay drama free. We had great teamwork going, like two dudes on a hunting trip. We just knew that when you add more folks into the mix, drama may not be far behind, and survival is tough enough without having to deal with that, too. Soon enough, we ran across Shane Lewis, a man I had been friends with for two years, but only through telephone conversations and messaging. Shane greeted us with cashew fruits and took us to his pristine water source. We felt like two Legionnaires coming out of the desert to an oasis. Shane filled us in that there were others with him but that they had a falling out. As soon as Alana Barfield and Dani Beau showed up, you could sense the tension, and it seemed like a dark cloud was over this place. The women were very gracious to Jeff and I, and we shared resources. We decided to recharge here a few days before we headed to the lake. It was a nice break, and having others to talk to was actually nice. But after a couple days, we could tell relations were not good between the women and Shane, and we decided it would be best for Shane to head out with us. Surviving the wild has always been very easy to understand for me. People, on the other hand, that’s a whole other ball game. People generally have their own agendas. When Alana and Dani showed up, I wasn’t sure what was going to happen. I had no issue with them collocating, but fully joining us as long as Shane was with us was probably not going to work. The women talked about staying a twosome and I offered any help they may need, but they soon joined up with the larger group. I learned a great deal over my 40 days in the Colombian badlands. I learned that sometimes you just don’t have control over everything, that you can truly only control yourself and your own actions. Other people are going to do what they feel is best for them, and everyone isn’t going to see eye to eye. I saw that there are very different survival strategies out there, and one is no more right than the other, just different, and that you need to find out what works for you, stay true to your nature, and let that brand of survival carry you through the situation. Survival is about mindset to me, and attitude and will are a big part of that. The only problem in a survival situation is that Mother Nature gets a vote, and she can be absolutely unpredictable. So be ready for the unexpected, remain flexible, be instinctual and think on your feet. Mindset is everything to me, and when properly applied, you will be very successful in all that you set out to do. 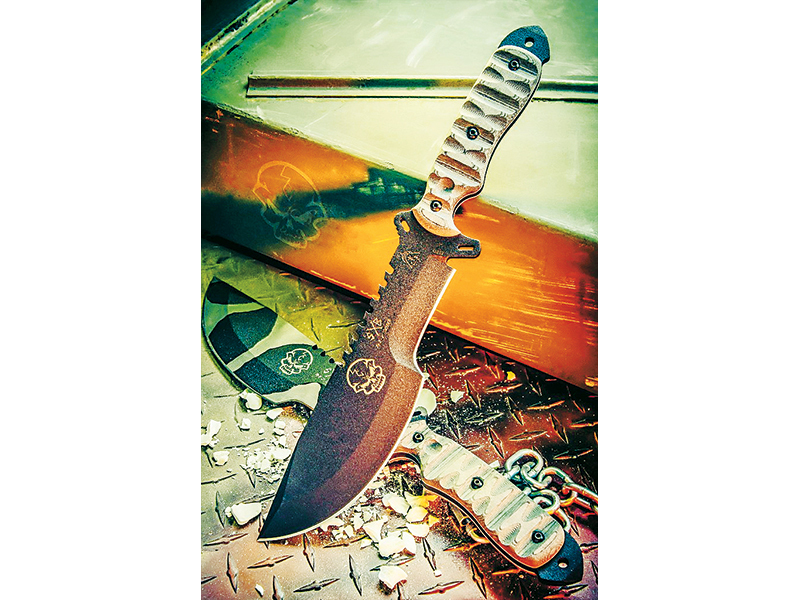 The Skullcrusher’s Xtreme Blade (SXB) from TOPS Knives was designed to aid in survival not only in the wild, but on the battlefield as well. 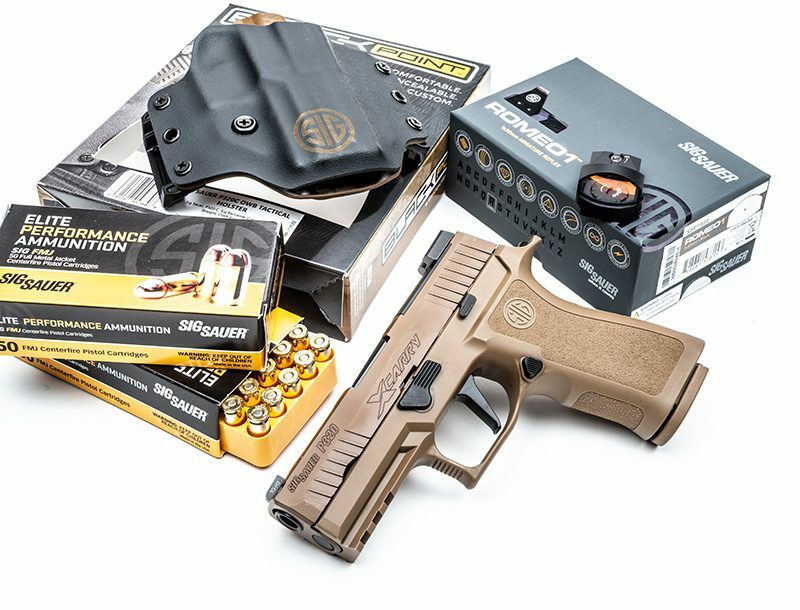 Extreme situations require an extreme blade, and the SXB meets that demand and then some. EJ Snyder is a survivalist and a highly decorated, 25-year Army veteran who served in the 1991 Gulf War and Operation Iraqi Freedom. This article was originally published in the SURVIVOR’S EDGE™ Spring 2016 issue. Subscription is available in print and digital editions here.